In our menu you will find more than just the classic burger. For us Burger is much more than just a snack product. Since we want to fully exploit this taste potential, we have a variety of variations for you; whether Mediterranean, vegetarian, refined, traditional or exotic: with us everyone finds his personal favorite. In order to offer our guests the best taste, we always prepare our burgers fresh and use regional products. The sauces are carefully tuned and designed by our chef Remo Nussbaumer especially for the burger creations, to complete them perfectly. But the heart of our burgers is the meat, which we buy directly from Swiss farmers. Our supplier in Solothurn pays attention to a natural attitude and species-appropriate feeding of their animals. Thus, the meat is on a gourmet level and meets our quality requirements. 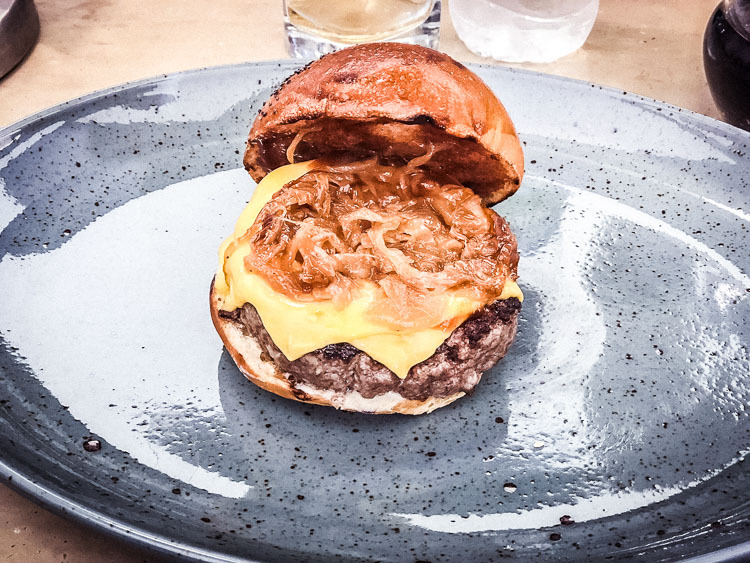 Gourmets can rediscover burgers for us. Since we take the "burgers" but very seriously, we also worked long on our burger rolls. After a long trial, we found the perfect recipe, which supports the flesh in terms of flavor. Our bread is baked by Zurich bakers to secret recipe. From Monday to Saturday we offer daily from 7 o'clock in the morning for breakfast. Freshly brewed Seattle's Best Coffee with freshly baked croissants, Bircher muesli, egg dishes and even a good morning burger guarantee a good start to the day. If you prefer to have breakfast at home, our whole breakfast offer is also available to take away. You can taste all our savory burgers and salads during the hectic lunch rush hours. Again, we offer our menus for takeout as well. Particularly at this time of day we guarantee you an extra fast service. In addition to our burgers, we also offer daily salads and soups. As usual, the entire offer is also available as a take away. If a burger is too much, we also offer smaller snacks and sandwiches. eNDi Burger & Coffee also offers a nice atmosphere for a leisurely coffee, a beer or even the DeZi wine. We have thought of everything for your comfort and your taste. You can call us for group reservations.